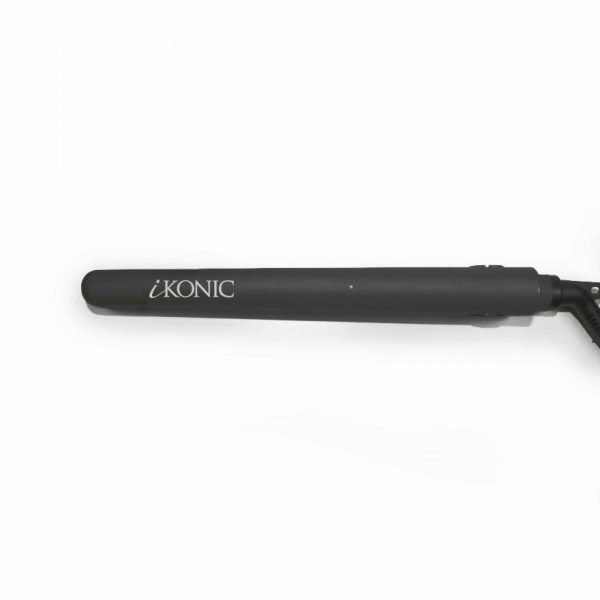 The Petite pure titanium flat iron is iKONIC’s ultimate compact, multi-purpose styling tool made perfect for on-the-go styling and precision touch ups. The sleek Petite flat iron has .5 inch floating titanium plates that heat up in a matter of seconds for your rapid yet flawless, and long-lasting, hair enhancements. The Petite packs the punch! Don’t let the size fool you, the Petite is not only the perfect travel buddy; it also reduces static and frizz and rejuvenates your locks to their natural moisture for shiny and smooth hair, even on the go. Once you use this tool for your iKONIC look, you will never want to leave home without this portable perfection again! Best flat iron for short hair EVER ! both me and my sister have one and we both like it !